A precise dose of leave-on exfoliating treatment ideal for use between professional treatments. Hydroxy acids and enzymes help smooth skin without and help reduce the signs of premature skin ageing. A brightening complex helps to even skin tone while soothing Rooibos and Green teas help skin retain moisture. Contains no artificial fragrance or color. All skin conditions, except users of medically-prescribed exfoliating products. Delivers chemical and physical exfoliating action through unique applicator. Hydroxy acids and enzymes help smooth skin and are designed to minimise redness. Citrus Unshiu Peel and Rice Extract brighten while helping to control hyperpigmentation. Designed to shield against damaging free radicals while hydrating skin. 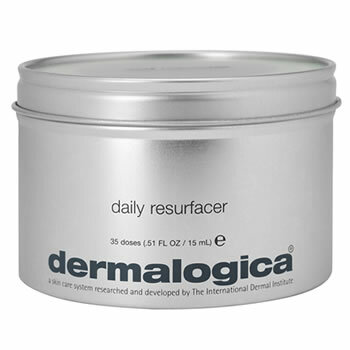 Salicylic Acid: resurfaces and stimulates natural exfoliation. Apple Fruit and Sugar Cane: extracts that stimulate cell renewal and cell turnover while gently sloughing surface cells. Hyaluronic Acid and GAGs: glycosaminoglycans that hold up to 1,000 times their weight in water help to hydrate skin . Aspalathus Linearis (Rooibos): a rich source of vitamins and minerals containing antioxidants fifty times more powerful than Green Tea polyphenols. Zostera (Seagrass or Eelgrass): contains polysaccharides(sugars) that form a hydration net over skinÕs surface that cushions and protects. Citrus Unshiu Peel and Rice Extract: brighteners that help control melanin biosynthesis to help even out skin tone and control hyperpigmentation.